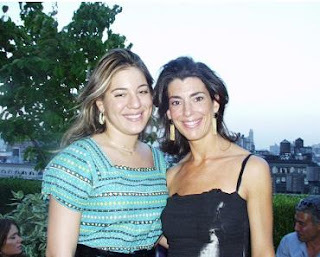 Under the hot, summer, sultry heat of New York City, designers Elena Kiam and Dani Stahl unveiled their "it destination jewelry collection to the press, family and friends. 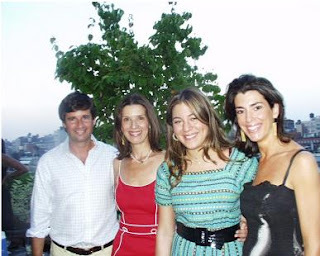 The event took place on the rooftop of 60 Thompson Street with the gorgeous view of downtown Manhattan simmering in the background on Wednesday, August 3, 2005. Guests were treated to cocktails, hors d'oeuvres and a special gift: a stunning piece of jewelry from the "it destination collection. Kiam's inspiration for "it" destination was the Island of Capri. She collaborated with up-and-coming designer Dani Stahl to create a collection that features designed cuffs, bangles, link necklaces and glamorous earrings, as well as, a bold cocktail ring and a show-stopping brooch. The "it" colors that are seen throughout the collections are gold, coral, turquoise and tiger's eye.The distinct name of lia sophia was inspired by Elena and Tory Kiam's daughters. The company was formerly known as Lady Remington. Tory Kiam's family owned The Remington Shave Company.Based outside Chicago, the company offers a 500-piece product line of affordable, high quality, fashion forward jewelry. Lia sophia is a multi-level network business and many women have opened their own businesses since the company reinvented its image to fit the lifestyles of women today. This is a company where women support and empower other women. Lia sophia success stories range from women who work part-time to those who make it a full-time career but still have flexible time to be home with their children.Lia sophia's mission is to connect women to their dream. While being committed to empowering women to launch their own business, lia sophia is also dedicated to helping less fortunate women. Since June of 2004, lia sophia has partnered with Dress For Success, a nationally known non-profit organization which helps low-income women make the transition into the workforce by giving these women a business suit for first time interviews. 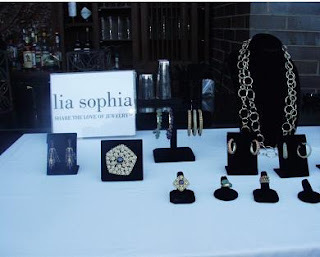 To date, lia sophia has donated approximately 4,000 pieces of jewelry with a retail value of $200,000. "A physical transformation occurs when a woman puts on a suit or when she puts on a gorgeous and expensive looking piece of jewelry," said Elena Kiam, lia sophia Senior Vice-President. "The physical transformation that happens on the outside makes a woman feel powerful and ambitious on the inside. Lia sophia and Dress for Success are the perfect match because they are providing women with opportunities to build their self-esteem and to allow them to realize their full potential."